A fully equipped and furnished IT lab is now a valuable facility at the Training School of the Sri Lanka Corps of Military Police (SLCMP) in Giritale, thanks to the Commercial Bank of Ceylon. This is the 180th IT lab donated by the Bank under its flagship Corporate Social Responsibility initiative to raise national computer literacy levels, and comprises of 10 computers, 10 chairs, 10 tables and a printer. The new lab will provide IT training to approximately 400 army and military police personnel at this institution. The SLCMP is responsible for the policing of service personnel and providing military police presence on service property, operations and exercises. 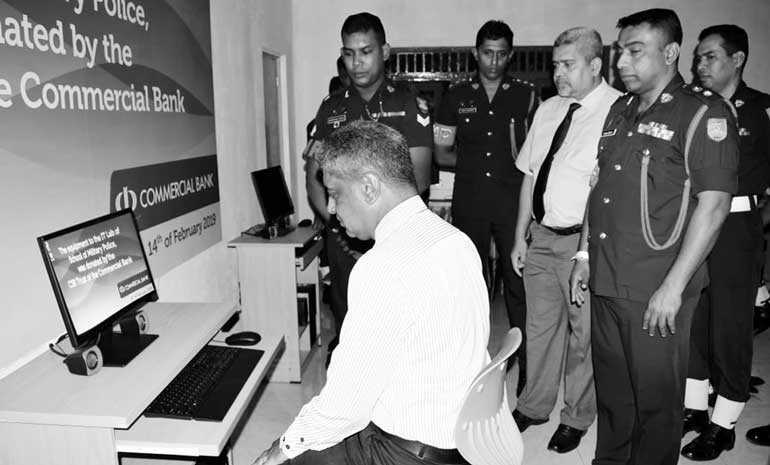 The opening of the IT lab at Giritale was attended by Lieutenant Colonel H. M. S. I. Senarath and Commercial Bank North Central Regional Manager Michael De Silva. Besides the donation of 180 IT Labs to schools and other institutions, Commercial Bank is a partner in the Government-Private sector ‘Smart Schools’ project, currently encompassing 65 schools in the Western Province. Commercial Bank has also made substantial investments to develop the curriculum for all age groups for this programme and has developed an online learning portal called Sipnena to benefit students.